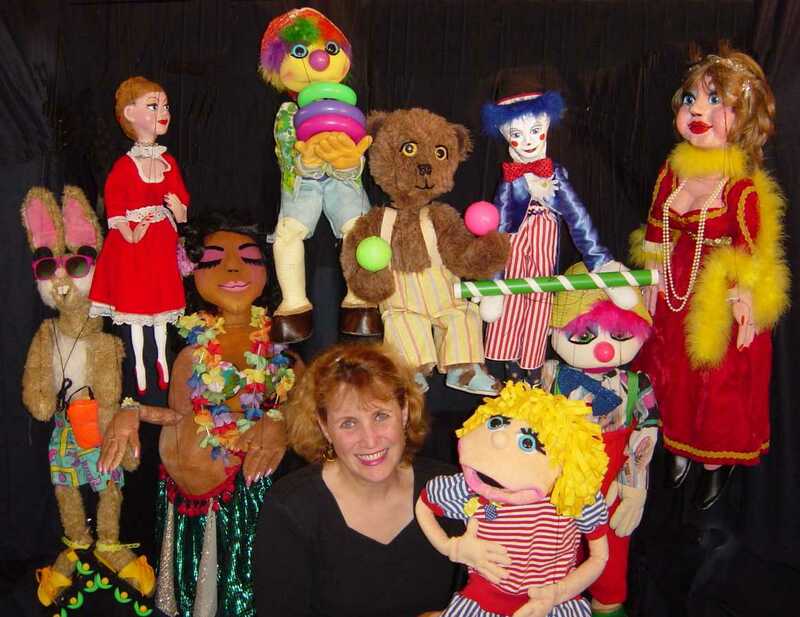 Carousel Puppets: Puppets and puppet shows for birthday parties, libraries, schools, birthdays and all occasions in Virginia VA, Maryland MD, Washington, DC. Susan Wall and Carousel Puppets have been delighting children and families for over 25 years. Our puppets shows feature large and colorful marionettes and hand puppets, lively music, and lots of audience participation. Shows are suitable for all ages and available for all occasions: pre-schools, elementary school assemblies, libraries, parks, holiday and Christmas parties, corporate events, shopping malls, camps, company picnics, and birthday parties, just to name a few. Puppet making workshops and goody bags are also available. Northern Virginia, Suburban Maryland, Washington, DC.